No matter what kind of business you have, the goal for your site is to grab as much attention from the customer as possible. There are many ways you can do this by properly setting up your landing page that lures customers to your brand. The end result is to get them to click on the buy button and make a purchase. When customers can effectively navigate through your website and find it easily online that's a huge plus. A search engine should bring up your website quickly without any hassles. It's very important for any business website to have an effective SEO page. These tactics can help you increase traffic more than ever. Your visitors will find you online instead going to another page that could be similar. Your SEO includes good meta descriptions below an URL that appears in search results. Content is key and it's important that it is well written and promotes your brand. When visitors click on one of your pages, you want it to be from your content. 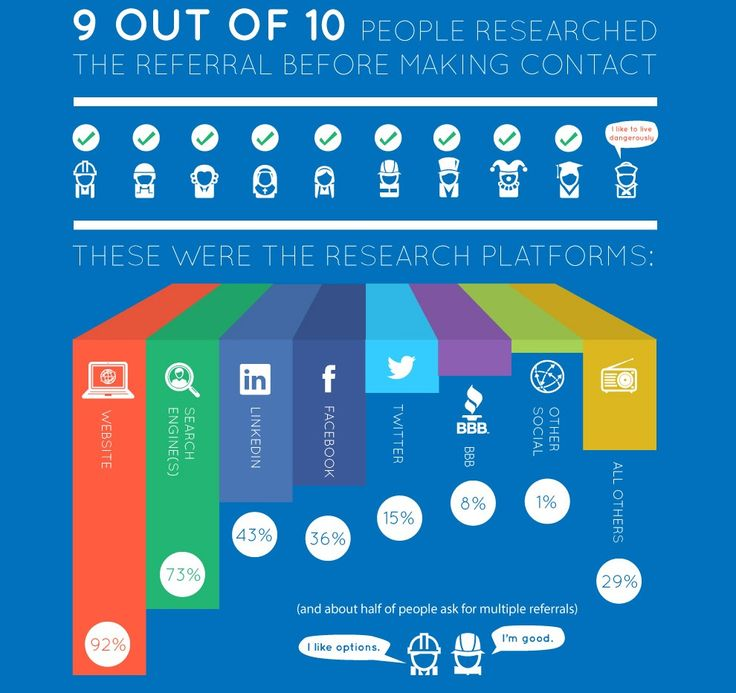 If users can immediately find you, then you've gained more traffic and ultimately more sales. SEO is so vital to every website. Businesses must optimize their pages, so they appear in higher rankings when people are searching online for your product or service. A well-designed website with SEO will certainly make you stick out from the rest. Once you've stepped up your game and have quality content, you want to focus on your website being listed in web directories. These often market themselves using clever social media tools or other well thought out strategies. Do your research to find how a web directory is marketed before adding it to your website. Some notable directories can be general or local. Their purpose is to service your website regardless of their service intention. Alive Directory is one of the most popular web directories out there. Several SEO experts find it to be very top notch for any type of business. Another one is Jasmine Directory which can be edited by you and provide websites per topic and regional location. Overall, your users experience will improve and grow from your site being listed in these directories. We all know that social media has a huge influence. The goal here is to make sure that it solves a problem and a challenge. With a great social media following you can basically have an unbelievable direct contact with your users. It's important to target those networks that bring some kind of added value. Content should always be engaging or even entertaining, but don't overdo it. Social media can even help you identify more business opportunities for your company. You want to engage as much as you can and never ignore your customers trying to reach out through this platform. You should display your USPs on your website for increase traffic. You must have a picture on your site and a statement that clearly says what the company is all about or what you offer. This is considered a good USP. Make sure to add a USP to every page on your site for promotion. It's crucial to place them at the top of each page as well. You will find that some popular sites place their USPs close to either a logo giving customers a link that they can remember. This creates a great impression and they will grasp the USP overall. USPs are something that ultimately makes your site better than your competitors. They identify your business and makes it stand out. A USP can define exactly who your target market is for your audience. That said, once you have a good hold on your audience you know exactly how to serve them. A website USP gives the first impression and the last impression said by some experts. With a properly displayed USP it can make your traffic leap and seriously boost needed sales. How to videos are common, but they must be done correctly. These types of video have a visual call to action than none other. They are powerful to say the least because you are not only putting up product material, you are educating your customers. This creates loyalty and keeps them coming back for more. How to videos show everything about your brand, product and additional information on new services. Your videos should be written with effective take charge content and always give a lesson. Don't be afraid to educate your customers with a step by step video like these . In the end, they will be very appreciative for these videos and your posts. You'll find your conversation rates will go up as well. Using links in your analytics helps with tracking marketing campaigns. It lets you know what strategies work and don't work. It's great to use as a tool to find out how effective your business is actually doing. You get a chance to measure results in your display or print advertising. Analytics are supposed to collect and report your web data, so you can understand who is using your site and how. You should be able to receive an estimate of the traffic helping you make and target your marketing campaigns better. If you want to know who is clicking on what, using analytics can be very handy. So, when you have finally scaled down how your website is going to look and what products you will offer, consider grabbing customers by properly doing web optimization. 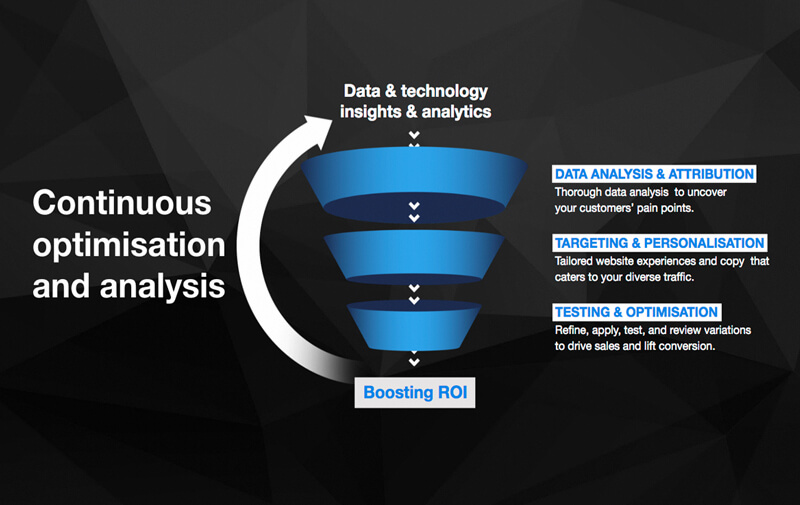 Analytics help with marketing campaigns by informing you if things are really working for your business. 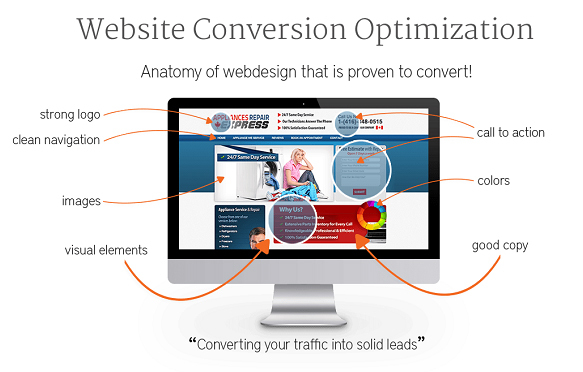 Conversions will also increase with a good displayed USP and using How To Videos. Social media must be engaging and informative. Customer's love to learn and you should be providing content that has that choice. Listing in directories are always good when it comes to people doing an online research in your industry. 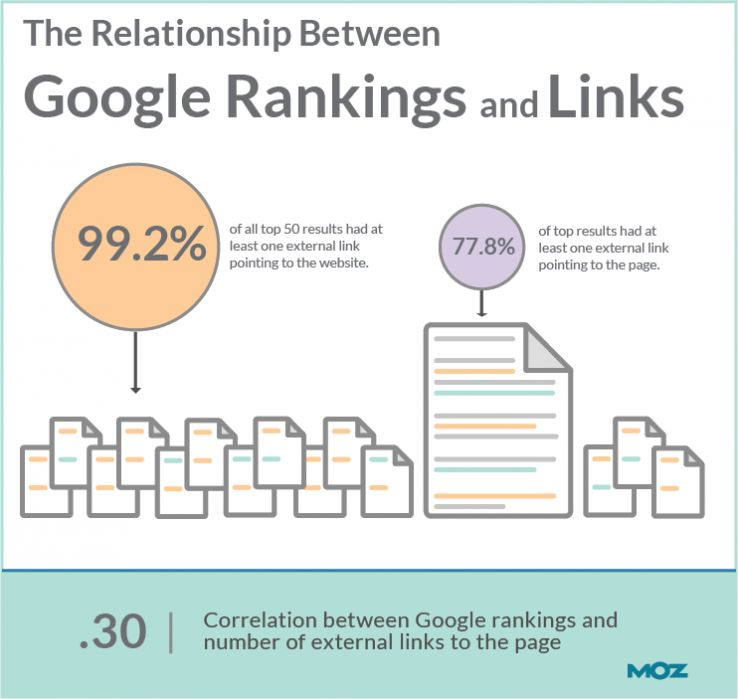 Overall, a website with good optimization goes a long way. Being a business owner can be hard and stressful. It can be much better with proper planning. Research and know-how can make things a lot easier. 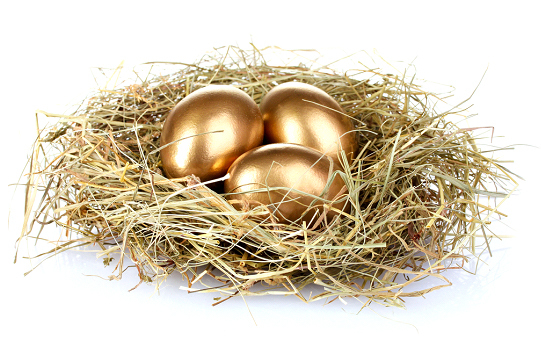 Here are some golden eggs to build upon in order to grow a great and profitable business. Organization keeps your business running at top performance. Things won't always go according to plan, but staying on top of daily cleanliness and order goes along way. Your customers will definitely notice the difference. No one wants confusion and unclean facilities when they are spending their hard-earned money. You must make a good impression. Establishing a business is an important life decision. You will have to depend on those around you like family, friends, and affiliates. Location is everything for your and the customers you service. It must be easy for your clients to reach you. Traffic and accessibility could mean the difference in failure and accomplishing your dream of building your empire. Offering free trials and discounts will help your business grow in number. Every great business leader knows who he or she is reaching out to. Cater and teach your customers about you and your wonderful company. A happy customer will keep coming back to your business. Think about all of the places that keep you grounded and getting through your daily routines. I am sure you do not waste time and the places that cannot properly serve you. Ray Kroc, the founder of McDonald's believes in quality, cleanliness, and value for his business. This technique allows him to focus on the needs of his client base. His business has grown to serve many generations. Communicating with your staff will allow them to keep your customers at a level of happiness never before imagined. Another way for customer satisfaction is to provide wide range of products so as to make them feel the product is meant for them. For instance, if you look at Ford SUVs, it offers a wide range of vehicles to cater its customers ranging from budget friendly to luxury options. Reflect on ideas that can make your business number one. Building on success gives your business an opportunity to grow. Every entrepreneur must follow a plan of success. It gives you a blue-print to carry-out daily procedures from every perspective of your business. CEO and business-owner Robert Deignan follows a plan that implements developmental tech products for business affiliates and the private sector. You have to keep the customer coming back and they have to trust the work that you do. Growing a productive and healthy business means letting as many people know as you possibly can. Your standard customer-base gives you normality, but you want to go above and beyond. Phones, tablets, and computers are extremely vital to our daily routines. They must be connected to your business through social media. Letting the customer gain instant access to your product can be beneficial. A happy customer will let others know of the great job that you do. Search engine optimization is generally done by professionals in the tech world. They use elements upgrade and protect your hardware and software. In addition, the experts will use algorithms to optimize the internet of your business profession. All of your skill and precision will pay off in just a matter of time. Sometimes you will notice the change overnight. In business, keeping a steady cash flow is a challenge. Making all the ends meet and paying all the employees can be really difficult. Remember to have extra money for an unexpected situation or a difficult day. Never put all your eggs in one basket. That could create a devastating impact on your customer base and your business. Don't get distracted and never lose focus. The steps you take can strongly impact your organization. Employee wellbeing is an important factor to which can have impact in business success. While training and employee empowerment are a great start, you also have to motivate, encourage and reward. A gloomy workplace reduces productivity. Whatever needs to be done to cheer up your team, do it; order pizza at work, offer free tea, the list is endless. Additionally, keep sessions that can make them feel that company is concerned for them. Provide gym facility with workout supplements, invite a dietitian who can guide on employee health issues. Understand your employees and offer personalized incentives for outstanding individuals. Remember, when your staff members are motivated, improved productivity is a priority on their to-do list. A study conducted by the University of Warwick indicates that motivated employees are 12% more productive. Staying focused on the goals that created your dreams and aspirations will set you apart from the competition. Knowing your plan of business will definitely make things run a lot smoother. Be patient and don't ever stop believing in your plan of action. In addition, you may feel the need to tweak it for depending on what is working and what is not. Be sure to research the geographical region of the area you live as well as where your customers will be. Continue to calculate every dollar and use each wisely. Also, connect to social media and don't be afraid to reach out to professionals that can give you help on optimizing your social curve. Building your brand in the digital age requires more than high quality photos and a well-designed website. It takes strategy and a willingness to find your distinct voice. 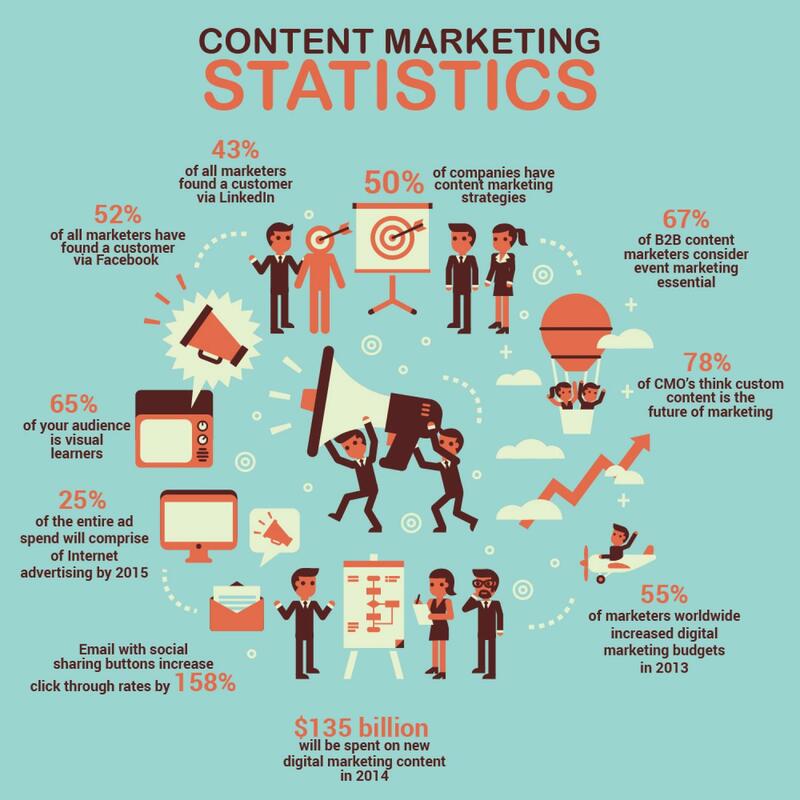 Content marketing has become a key strategy in digital branding. But for many businesses, it can be hard to make the transition, especially if you're in an industry that doesn't lend itself to long blog posts and funny infographics. Why do we engage in content marketing? Content marketing helps you to find and distinguish your voice. It allows you to differentiate your business in a way that traditional marketing does not. Content marketing allows you to create a nuanced message and a positive relationship with your audience. You gain visibility by creating content that is searchable and encourages your audience to spend some time on your website, looking around, getting to know you. Content marketing also allows you to target your segment of the market more accurately. You will also gain credibility. Increasingly, consumers visit your website and social media accounts before deciding to spend money. This is doubly true when making a major purchase. While reviews and sponsored pages are useful, nothing builds your credibility as an expert in your field like content that demonstrates your expertise. The key to effective content marketing is making sure that you deliver value, as defined by your audience. What are they interested in? What brings them to your website? What kind of information might they be interested in? This might sound like any basic marketing strategy, but content marketers take it a step further. Rather than trying to figure out how to get your company's name in front of the consumer at the various stages of the buying journey, content marketers think about how to be a part of the journey. They seek to understand all of the adjacent concepts and issues that are important to their consumers and address them. Your brand needs to stand for something. Content marketing helps you to show your customers the purpose and ethics behind your business. A great example is the weight loss industry. While many health and fitness website talk about how to lose weight or inches, others focus on building healthy habits and improving all around health. Many of the material offerings from both camps are the same (training, meal plans, exercise equipment) but they speak to very different audiences. Content marketing also allows you to market to existing customers while attracting new clients. Content marketing allows you to increase your referral traffic by lending your content out as guest posts on relevant blogs and websites. It allows you to engage your current clients by responding to trends and changes in the market directly. It effectively closes the distance between you and your target market. One great example of this is an interview published by a company that sells men's and women's accessories. They followed a model/photographer around for a day and got her perspective on issues that would interest their readers. They didn't spend the time talking about the brand specifically, but they did give us a glimpse into the type of woman that they are marketing to and hope to attract. Content marketing is low cost and can be universally applied. It can be used for any industry, even something as specific as car insurance. The only real cost is time. High quality content is not only engaging, but reminds your audience that you are there to help improve their lives. Explain complicated, but relevant legislation to them. Show them tips and tricks that help them save time and/or money. When they leave your site or social media page feeling that they got something for nothing, they will be sure to come back. There are many tips and tricks you can use to begin or improve your content marketing strategy and convert site visits into sales. Focusing on what your brand stands for and aligning it with your content is key to marketing success. Remember that your mission when writing is to produce high quality content that makes your customers' lives better. Skimping on the quality of your content is never a good idea. Content marketing is the key to your business's soul. It shows your customers that you understand them and increases the trust in that relationship. Your content helps you to show them that you care about the issues that matter to them and that you understand their aspirations. It allows you to show them how you can help them to realize those aspirations. Content marketing allows you to move from the realm of selling products to selling a lifestyle. You can show your customers that you don't just want them to buy your products, but to live well. And that is the best sales pitch of all. In the marketing world, it takes a shockingly small percentage of positive response to your ads and marketing materials to be considered successful. This is no less true with email. In fact, most marketers consider anything above 3 percent to be an incredible response. What if you could do better, particularly with your email campaigns? What if there was a way to immediately start engaging with more of your audience and convert more readers into customers or clients? Of course, we cannot make any guarantees of success, but if your response to email is in a slump (or you are just looking to improve your numbers – even by a small margin), what follows is definitely for you. 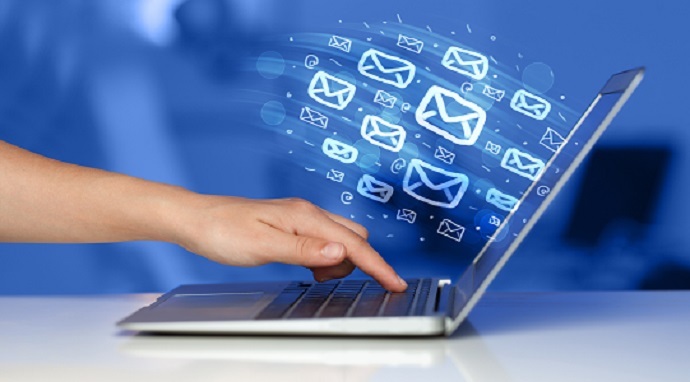 Email was and is one of the most powerful marketing tools of the online age. Even when the Internet was in its embryonic stages, email was being used by businesses to reach out to consumers as well as colleagues and potential industry partners. Its effectiveness has only increased over time with more and more marketers and corporations choosing to approach leads via opt-in lists (as opposed to direct spamming) to boost their credibility within their respective industries and niches. This move toward organic list building has helped revitalize the image of email with the consumer. Most rarely get messages they didn't opt to receive but few read every email on every list to which they are subscribed. In short, even though people ask to be on your list, they are still very likely to treat your messages as spam. In order to change that, you need to get their attention in a different way. In order to win a click-through, you must first get the reader to open the message. Successful business campaign open rates, regardless of the type and size of the business, hover around 20 percent across the board. If your open rate is below that or you think you could manage to entice a few more opens, it all boils down to one thing: your subject line. The subjects you choose need to reflect both your brand image and the content of the email. If you bring up any controversial points in the body of the message, these are the best bits upon which to base your subject lines. Make sure what you say is factual and not overstated, but don't be afraid to be a little edgy (within the confines of what your ideal customer will tolerate). There are a number of ways you can motivate the reader to click on your links once they open the message. What follows is a brainstorm of ideas in no particular order of importance. Which of these have you tried? Which had you not thought of before now? How many can you find to improve or begin implementing with your very next campaign? 1. Toss out the link early. For some, getting right to the point is the best way to secure a click. If they were interested enough to want to now how low-carb dieting can kill them, chances are they'll click a link to a special report or case study (read: your landing page) quickly if you tell them to. 2. Tell a good story. Storytelling in email a great way to draw the reader in. By creating a persona to tell your brand story, the reader is given an immediate point of relatability. Don't try telling your story in one email. Start a series. End your messages with cliffhangers so the reader has to wonder what happens next. In short, engage, don't pitch. Get good at this and people will start looking for your emails, opening them, and following your links. A Small Tip: Always try to build a story that reflects your business ideology and ethics. It would let the readers know the company well, and it would help you get your desired customers. Creating a story is not enough. You need to engage the readers to read the email until the end. You could do this by adding graphics like infographics and images in the email. If I give you an example, suppose you are writing an email for your Fitness Shop; you should use images related to fitness to convey the readers on what could be the possible improvements they can get if they use the fitness products. 3. Present links with pain points. Never let the reader forget the reason he or she subscribed to your list. The buyer has a problem, you have the solution. The key pain point(s) addressed by your brand should be woven into the narrative, and revisited often to keep them fresh in the mind of the reader. Don't be inconsistent – Stay in front of your readers and keep them engaged. Don't be flashy – Avoid ALL CAPS and other embellishments, especially in your subject lines. Don't over-describe things – “Amazing,” “revolutionary,” and, “incredible,” may sound like great words, but they've been used ad nauseum. Find a unique way to present your brand. This goes back to minimizing flash. Keeping all of these ideas in mind will help you generate those click-throughs and, ultimately, convert more of your readers into loyal customers.